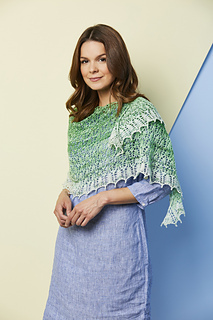 The shawl is worked flat from the top down. The circular needle is recommended to accommodate the large number of stitches. The stitch patterns may be worked from charts or written instructions as you prefer. 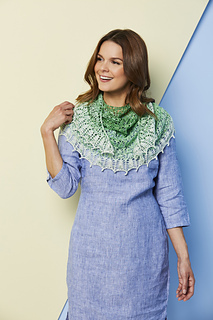 This pattern features in Issue 90 of Knit Now, which is on sale from 28th June in supermarkets, newsagents and craft stores across the UK. Find your nearest UK stockist here. Copies can also be ordered from MoreMags or if you prefer, digital editions are available via PocketMags.